Before I draw winners for both April and May FNSI, I'd better show you what I got up to on Friday Night, don't you think? I managed to get a little bit done and lo and behold, a finish! 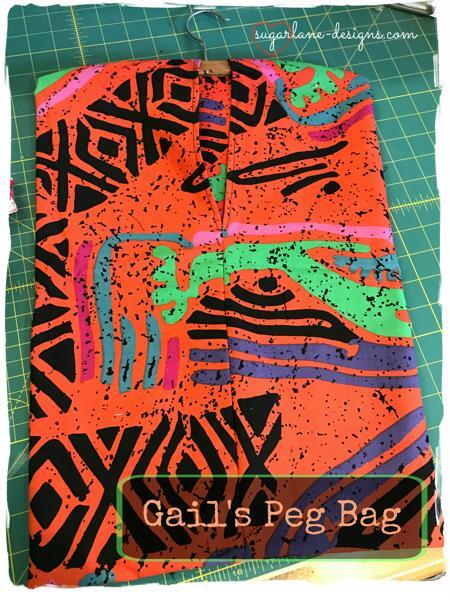 Bob asked if I could make a peg bag just like Gail used to as his had fallen apart. I decided to use some really bright fabric that Bob had gifted me from Gail's stash that reminded me of her. She was an Islander who dressed in bright fabrics often with tribal-type prints so I thought this would be perfect. It wasn't till I'd finished that I noticed that I 'almost' matched the pattern in the centre front seam....totally unplanned but how wonderful! So that's a finish for me this month. Isn't it cute??? I just love bunnies and as we can't own them up here in Queensland, this is the closest I'll get. When I was a child living in Victoria, we used to have bunnies as pets then, but seeing as I've been a Queenslander since I was 13, that has been an eternity ago. So before too long we'll all have bunnies hopping about in our sewing rooms! We'll be sharing our progress on our Facebook pages and I'm sure Instagram will get a look in too! I'm so pleased with having another finish and another underway. Pop by HERE to catch up with the other ladies that joined in on Friday night to see what they got up to. Now for the draw. Seeing as I missed last month's (don't know how or why?) I'll do that one too! Ladies, your prizes will be out in the mail this week. Have a fabulous week......I'm off to visit my cheeky Dad-in-law! That is a lovely project you are working on . . . .Congrats to the winners!! Love that really cute bunny bag but what are pegs? I don't think we use that term here in the USA but probably just have another word for them. Congratulations to the winners and see you all next month. It'll be here before we know it!! This is big time super cute! Peg bag is for laundry, is it? I used to make things out of pieces of fabric as a child but somehow stopped doing that later. Then I went into the minimalism thing and started a blog with reviews on Ultius. Even though seeing those things always makes me smile. You keep up the good work! Love the fabric you used in the peg bag. 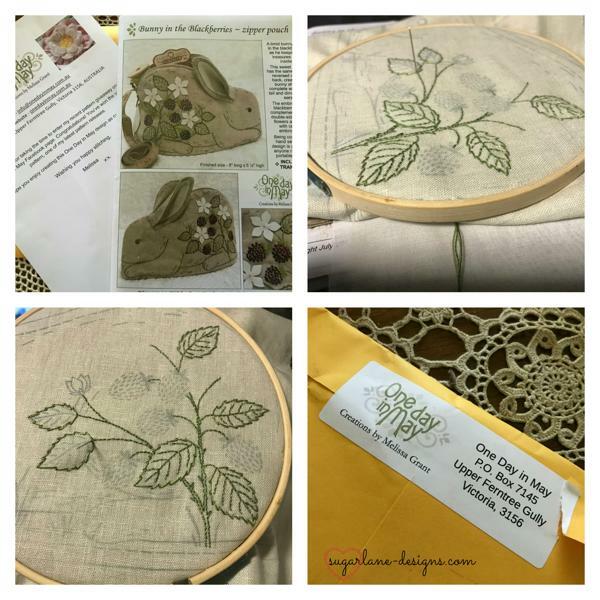 You made great progress on your stitchery and it looks great. 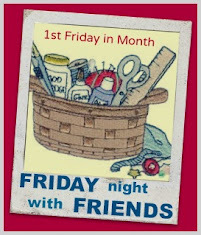 Do you host FNSI once per month? Great Peg Bag and a very pretty stitchery you are working on Wendy. Thanks for another lovely night of sewing.